Canada Wilderness Adventures in BC, Alberta with Fresh Adventures. 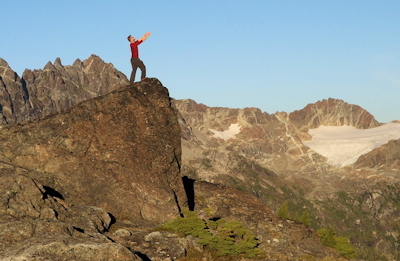 Guided Wilderness Adventures and Comfort Camping Tours in British Columbia and Alberta, Canada. 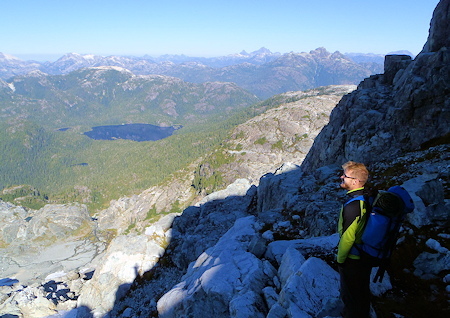 Get more out of your Canada wilderness adventures by going on a professionally guided wilderness tour with Fresh Adventures. Our Canada wilderness tours allow you to experience the highlights of Vancouver Island and the Canadian Rocky Mountains in a small group with a professional guide. Our guides will help you get further off the beaten path during your wilderness adventure and experience the pristine nature that Canada is known for. 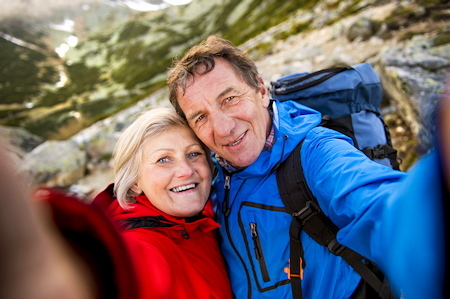 Our wilderness camping tours in Canada are suitable for all skill and experience levels, as well as a wide range of ages from children to seniors. 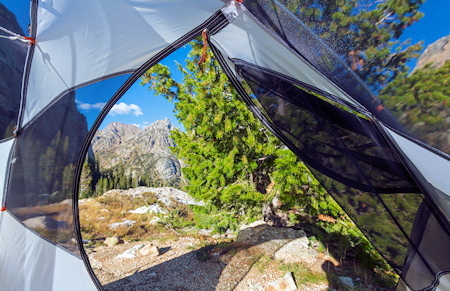 Another great thing about our wilderness camping tours is being able to try camping in the Canadian wilderness while we provide you with high quality gear and support. 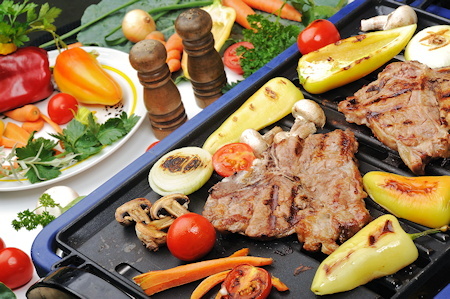 We are on a crusade against stale, boring camp food and with a healthy arsenal of fresh, gourmet food prepared by your guide you'll see why we're winning on these wilderness adventures in Canada. Try one of our wilderness camping tours on Vancouver Island to experience the rugged West Coast, exploring old growth forests, untouched alpine lakes, white sand beaches and endless Pacific Ocean sounds. 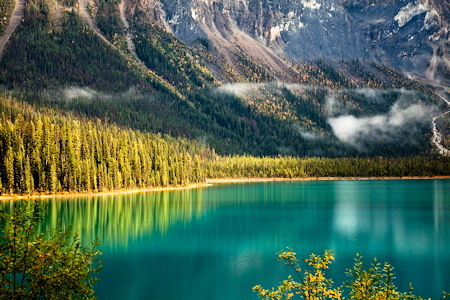 If you're looking for the ultimate Canadian mountain experience try our wilderness camping tours in the Rocky Mountains and experience sparkling lakes, towering mountains, abundant wildlife and stand directly below massive glaciers. On our wilderness camping tours we don't just camp.. we comfort camp! 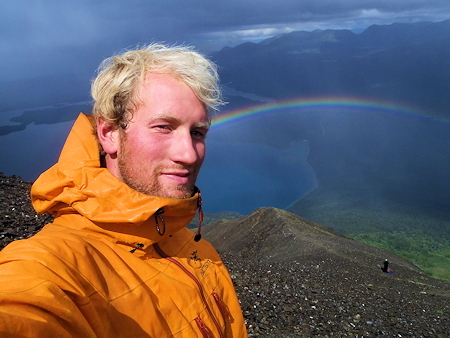 Forget what you know about camping: stale food, bad weather and no showers. Camping with our guides is a very comfortable experience, with hot showers and thermal pools, fresh and healthy food, as well as really comfortable camping gear including tents, warm sleeping bags and thick, comfy sleeping pads, plus professional guidance. We're on a crusade against stale, boring tours. Try our wilderness camping tours for a fresh take on adventures in the wilderness. Our wilderness adventures are the perfect opportunity for you to grow, making new friends, trying new wilderness skills and learning about Canada's incredible ecosystem, vivid history and culture. Our guides are experts and can help you achieve your goals, as well as make sure that you are in your comfort zone while camping in the Canadian wilderness. Our Canada wilderness tour locations: Minimize driving, maximize fun! We've spent years perfecting our wilderness camping tour itineraries, minimizing driving time and maximizing your experience and time to relax. 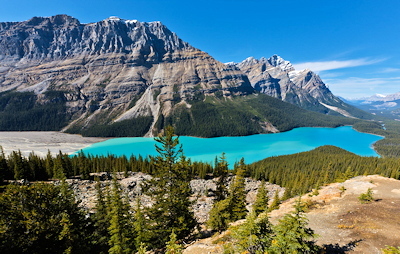 Our Rocky Mountain camping tours depart from Calgary, with a convenient pick up form your central Calgary hotel. Getting to Calgary is easy and can be done by flying into Calgary International Airport (YYC), or taking a bus from most places nearby. 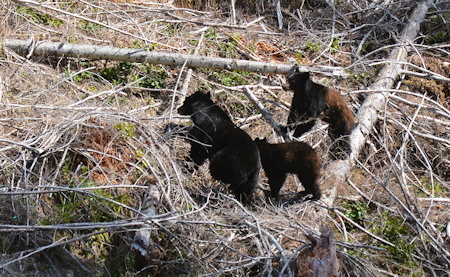 Our Vancouver Island wilderness tours depart from Victoria, with a convenient hotel pick up from your Victoria hotel. Victoria is really easy to get to by flying into Victoria International Airport (YYJ), or hopping on the ferry from Vancouver. 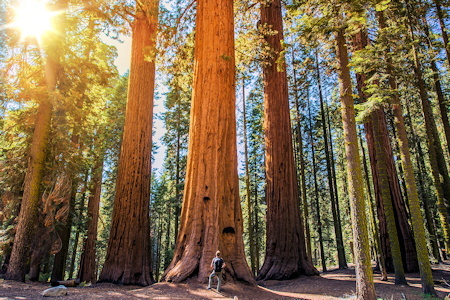 We are always happy to help you make travel arrangements and connections for your wilderness adventure with Fresh Adventures. Jump right into your Canada wilderness adventure with our five day Vancouver Island camping tour. Over the course of five days you will travel in a small group, exploring isolated ocean beaches, lush rain forests, crystal clear lakes and untamed mountains with the help of your guide. 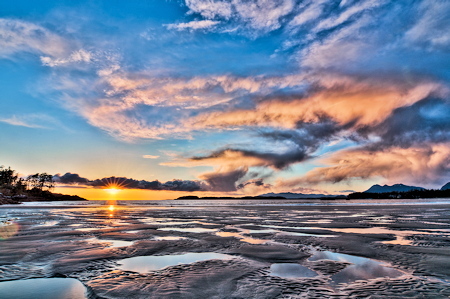 Get in touch with the Pacific Ocean during a one-of-a-kind cruise through Barkley Sound or an exhilarating marine safari in Tofino, keeping watch for the numerous whales, sea lions, eagles and porpoises along the way. Breathe in the freshest ocean air while soaking in a set of remote hot springs, set in a rock pool with a world class view. No wilderness tour to Vancouver Island is complete without trying surfing, so surf to your heart's content or relax on the warm sandy beach instead. Feast on delicious locally sourced food, prepared for you each day, and sleep soundly in our high quality tents and comfy sleeping bags. If you want the Vancouver Island experience in a short time, this Canada wilderness tour will knock your socks off! 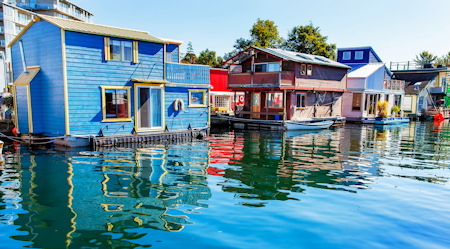 This classic 8 day Canada wilderness adventure includes the rugged West Coast highlights of the 5 day tour, and tops it off with 3 days of exploring heavenly fresh water lakes, Vancouver Island's biggest mountains and the laid back island vibes of the Gulf Islands. Swim in some of the clearest and most pristine water on Earth, camping right below towering trees on the shoreline. Treat your legs to a guided day hike in some of the most beautiful and isolated mountains in Canada, feasting your eyes on million dollar views in all directions. Learn some new foraging skills, with the abundant wild berries, edible fungi and fresh seafood that surrounds you. Find out how the First Nations thrived off this landscape for thousands of years and try some of their tricks for yourself! Unwind on the Gulf Islands, tasting some of Canada's most awarded wines and enjoying the tranquillity of the Strait of Georgia before heading back to Victoria at the end of your British Columbia wilderness adventure. Leave nothing out on your Rocky Mountain adventure by joining Fresh Adventures on this 7 day Rockies wilderness camping tour. 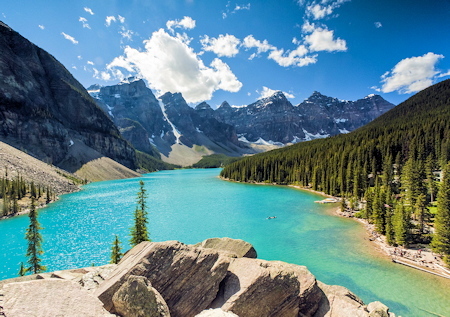 Spend seven days travelling through five of Canada's most iconic mountain parks, exploring crystalline lakes, hiking through alpine meadows and getting up close and personal with some of Canada's biggest glaciers. Check out the classics of Banff and Lake Louise then enter a world of postcard views along the Icefields Parkway in Jasper National Park. Step off the beaten path on daily excursions with your guide and immerse yourself in the true Canadian wilderness. Get a rush on your Rocky Mountain wilderness adventure with an optional whitewater rafting tour on the legendary Kicking Horse River. Step back in time on an awe inspiring train or horse back ride in Jasper and experience the landscape like the early settlers once did. 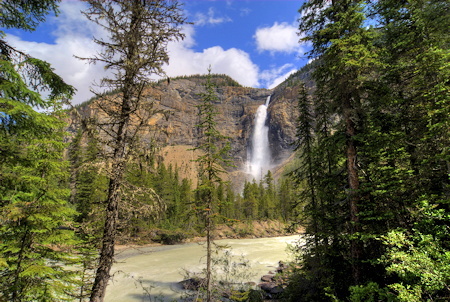 Venture through Yoho National Park, where the mountains seem to touch the sky, and then Kootenay National Park which probably has more wild animals than humans in it at any given time. Truly spoil yourself with a soak in one of the Banff area's naturally heated thermal pools, as well as taking a gondola ride to the top of Whistlers Peak in Jasper where you'll be rewarded with unmatched views of some of the biggest mountains in Canada. With locally sourced gourmet meals prepared by your guide and high quality camping gear provided, this Rocky Mountain wilderness camping tour is sure to amaze you. Our nine day Rockies wilderness tour is based on the seven day option, with two additional days of beautiful scenery and exploring the Banff area. 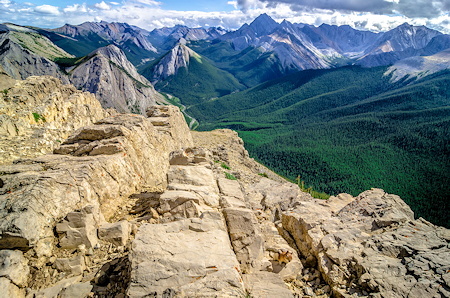 This wilderness tour includes an extra day in Banff with an excursion to the top of Sulphur Mountain gondola, where you can drink in jaw dropping views of Banff National Park. Play with the overtly social chipmunks at the peak or put your inner photographer to work capturing the 360 degree mountains views and braided rivers lining the valleys. Spend the afternoon checking out Banff on your own time, taking an optional Banff adventure tour, or window shopping and exploring the legendary mountain town. 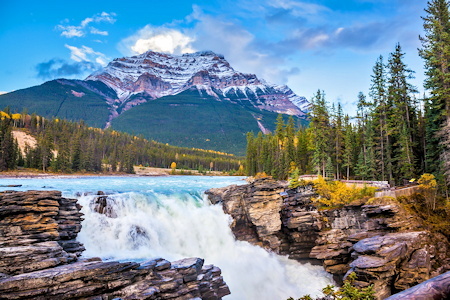 Finish your Canada wilderness tour off with a glorious soak in Banff's most popular hot springs before being dropped off at your hotel in Calgary. Our goal at Fresh Adventures is to exceed your expectations, by performing at a truly exceptional level of service on every adventure tour.